15 miles. 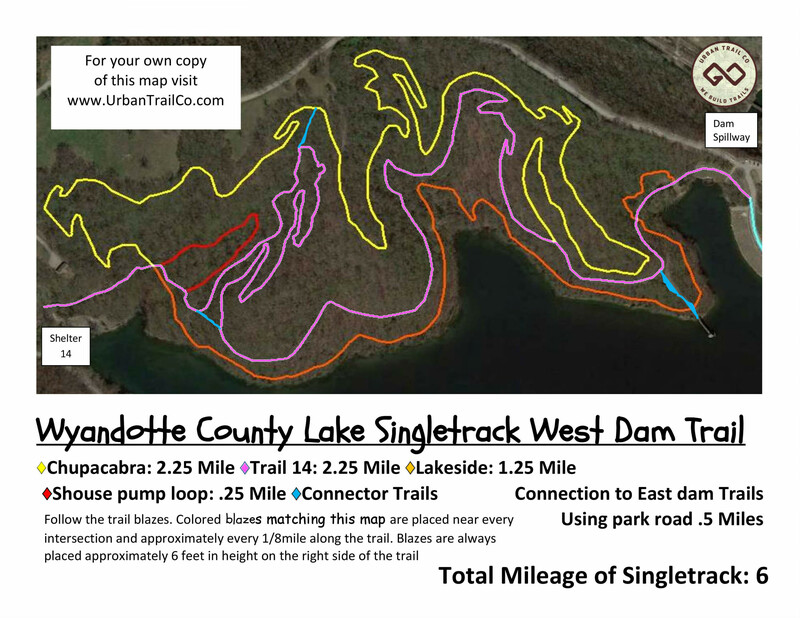 These rolling trails comb the wooded hills above Wyandotte county lake. 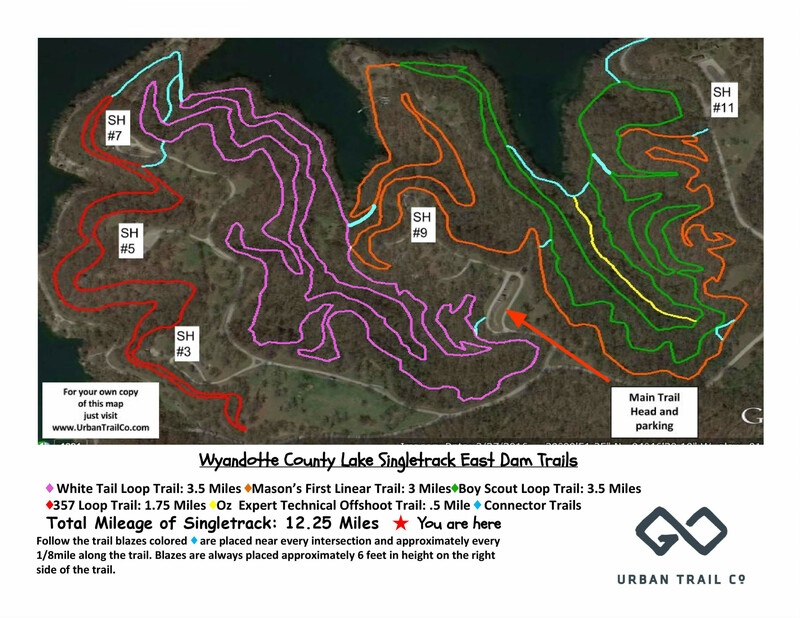 Built in cooperation with Wyandotte County Parks, this longer trail system also features quick access to Wyandotte County Lake Park shelters and other facilities.